Hide deals from seller "Body By Boz At The Work'd Out Studio"
Click ‘Get It’ and select Personal Training for 1 or Personal Training for 2. Limit 1 per person; may purchase 1 additional as a gift. Training session may take place at The Work’d Out Studio or in client’s home. Client must supply own weights and/or equipment for at-home option. Promotional value expires 365 days after purchase. $36 for a 1-hour personal training session for one person ($40 value). 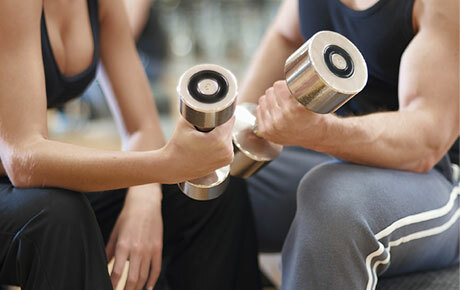 $54 for a 1-hour personal training session for two people ($60 value). Trainer Steve “Boz” Bosnyak has been working in the fitness industry for more than 15 years, and he has a passion for helping people achieve healthier lifestyles. He offers muscle and strength training built on his experience within the fitness industry and his experience training professional wrestlers since 1995. Training sessions can take place either at The Work’d Out Studio or in your home. Pump up with this fit deal. Personal trainer in River Grove offering fitness and nutritional coaching.